So I sort of won Stash Dash. I say sort of because I finished over 4,000 yds of knitting. Which is more than enough to qualify for the 3K. However, since I was up knitting until midnight on the day of the finish, I did not post everything to Ravelry. Which means that in the eyes of the Stash Dash Commissioner, it wasn’t really finished. I’m really ok with this. I don’t need any prizes. All I need is the satisfaction of getting things cleared off the needles (and your comments telling me how cool everything is). 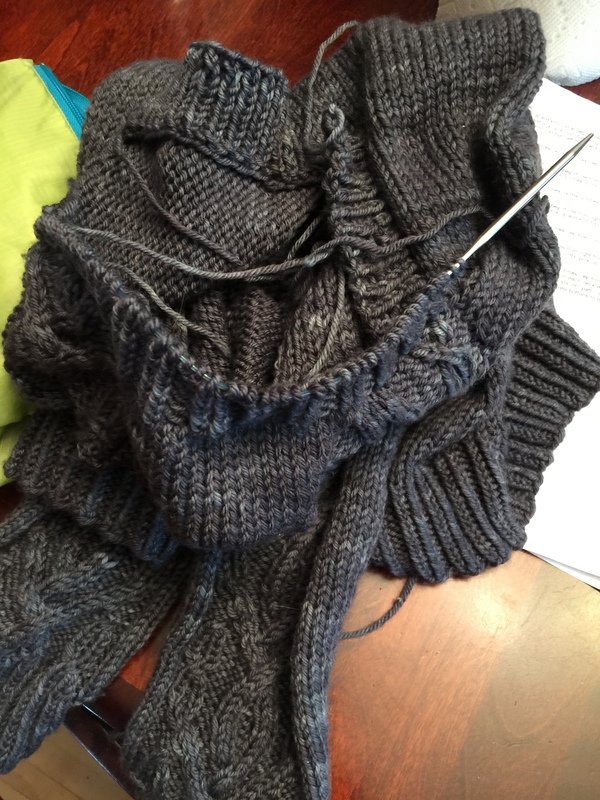 Hitch Pullover – 1120 yds DONE – this is the most current photo I have of it. I’ll post more once it’s been bathed and is photo ready. Lydia Cowl Longer & Better – 380 yds – DONE – again, photos of this to come as I get it bathed and beautiful. Whew! That’s a lot of knitting. Now, had I actually stuck to the plan I think I could have made it to the 5K goal. The problem was I kept getting distracted by new and shiny projects. While knitting is knitting, knitting 380 yds on a sweater to finish it would give me better meterage than knitting a brand new project. Oh well. Que sera sera and all that. Now I’m feeling a bit of a let down after the rush to get projects finished. 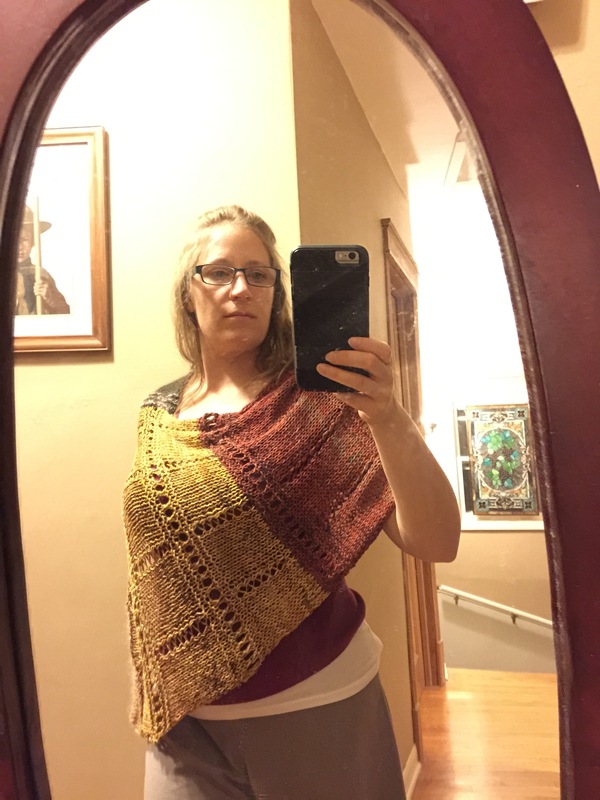 I’m debating about finding another KAL to work on or just doing my own thing for a bit. I’ll keep you updated on what I decide. In the meantime, I found out that both my girls like wearing tube socks (ick!) so I might have to make some.